One Eternal Day: The wrong discoverer? Whatever the realities of these theories, it is the expansion of the cultures and traditions that form the template on which today's societies in the U.S. and English Canada that we should commemorate. Columbus, whatever his merits and demerits may be, is in this regard beside the point. If Americans of Italian descent wish to point with pride to a predecessor in discovery, perhaps we should look at Giovanni Caboto, another Italian navigator. 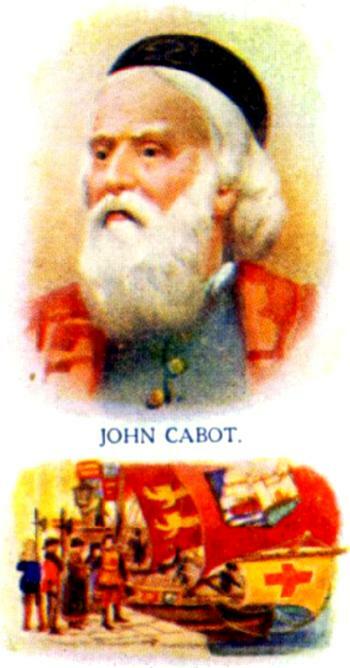 Moving to England, he adopted the English style of his name and became known to history as the discoverer ... John Cabot. "Encroaching on territory not its own"
"Subject to the governing authorities"
"My music is not Christian—Lecrae is"
"Yet sometimes in the midst of these dreams..."
"As were the days of Noah"